Triangle Restaurant Week is back! It will be taking place from June 6th to June 12th, and we are excited to announce that Mura, Cameron Bar and Grill, Faire, Basan, and Edwards Mill have all prepared delicious menus for the event. The restaurants are serving three course lunches and dinners that range from $15-30, talk about a bang for your buck! Be A Superhero, Save Your Green! Have you always wanted to be a superhero but not sure who or what to save? During the entire month of July we’re giving you the chance to Save Your Green! 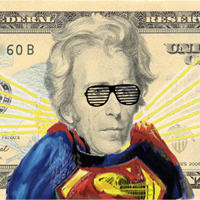 You can be the superhero of your own wallet when you save 30% each time you dine at one of our Triangle establishments. This company-wide promotion is available at all 6 of our Triangle locations: Mura at North Hills, The Oxford and Zinda New Asian in downtown Raleigh, Cameron Bar and Grill, and Faire Steak and Seafood in Cameron Village and Basan Bull City Sushi in The American Tobacco Campus in Durham, NC. 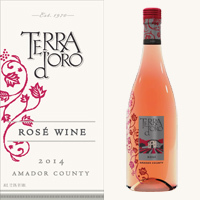 Dine at any of our restaurants from June 15th to July 15th for your chance to enjoy a glass or bottle of Terra d’Orro 2014 Rosé Wine. This wine is amazingly versatile and pairs well with just about anything. So, for one month only, at Mura at North Hills, The Oxford and Zinda New Asian in downtown Raleigh, Cameron Bar and Grill and Faire Steak and Seafood in Cameron Village, and Basan Bull City Sushi in The American Tobacco Campus in Durham we will be offering $9 glasses and $32 bottles of this delicious vino. Stop by any of our locations today to see what all of the buzz is about.